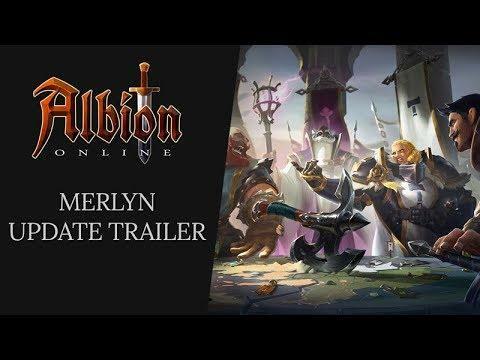 Get ready for another fight, as the MMO Albion Online [Official Site] has its fourth major post-launch update with Merlyn. Faction Warfare - Join one of five factions based in the five Royal cities to participate in open-world warfare, claim enemy outposts, partake in dangerous trade missions, and earn valuable rewards. Refining, Crafting and Resource Updates - Each city on the Royal Continent now has its own unique refining and crafting bonuses, offering new economic opportunities for traders and crafters - and resources have been redistributed to encourage travel and transport throughout the world. Marketplace UI Improvements - The Marketplace UI has been completely overhauled, and two new features have been added: a clearer average price display based on actual sales, and in-depth sales history for each item at a given location. New Dungeon, Trophies, Costumes, and More - Take on the new T5 Dungeon Stoneroot Caverns, decorate your home with all-new gathering trophies, dress in style with new wedding costumes, and experience numerous improvements to Albion's combat, UI, graphics, animations, and audio. Check out the release notes here. Personally, I'm looking forward to the big PvE overhaul that they're planning. Since I just don't have enough time to get good enough for all the PvP features, it doesn't really cater to me personally since there's not a decent amount of PvE content. Still, it's great to see the developers continue to expand the game in many ways. Weird, works fine for me. I seriously need to get this game. lol. I'll be starting a new job soon, so maybe I'll finally be able to grab it. Do note that end-game Albion is basically DOTA in disguise. If you don't like MOBAs, you will more than likely despise Albion beyond a certain point.